The United States represents 24 percent of the global cosmetic market, with an estimated total revenue of about 62.46 billion U.S. dollars and employingabout 63,816 people in 2016. 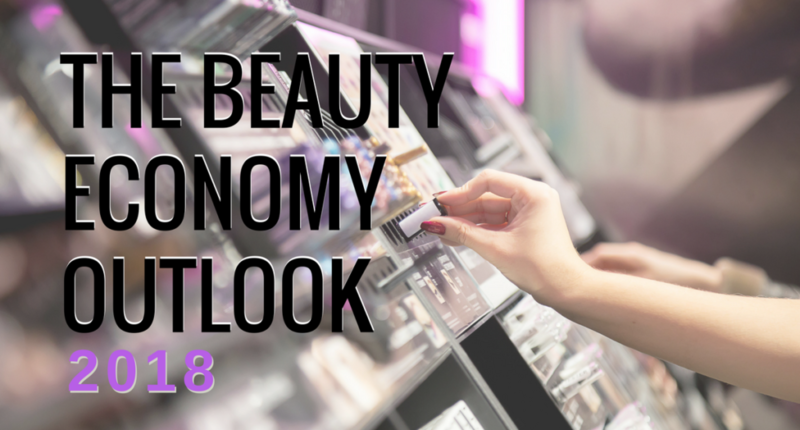 Revenue in the Cosmetics and Personal Care market amounts to US$39,168m in 2018. The market is expected to grow annually by 6.5 % (CAGR 2018-2021). In 2016, the global cosmetic market grew an estimated of four percent in comparison to the previous year. The global cosmetics industry is broken down into six main categories; skincare being the largest one out of them all, accounting for 36.1 percent of the global market in 2016. The average American household spent approximately $170 on cosmetics, perfume, and bath preparations in 2016. About 34 percent of US households with an annual income of $100k or more spent between $500 – $999 on skin care, cosmetics, and fragrance, with 32 percent of them spending under $500 in 2016. Skincare has been forecast to remain the most profitable product category, as its market value is projected to grow by 20.1 billion U.S. dollars between 2014 and 2019. Hair care products made up a further 23 percent, while make-up accounted for 18.2 percent in 2016. The beauty industry is undergoing seismic disruption as cultural ideals of beauty and diversity change, catalyzed by social media. Over the last decade, skincare led the gains within the prestige beauty industry, fragrance was challenged as consumer usage declined, and Boomers drove demand and influenced innovation within the industry. However, in recent years as Generation Y has really entered the job market, they have become a big driver of the cosmetics market; especially in the United States. This statistic above shows the annual growth rate of the global cosmetics market from 2004 to 2016. In 2016, the global cosmetics market grew by an estimated 4.0 percent compared to the previous sales year. Women in the US have become increasingly selective about the ingredients in their facial skincare products over the last two years, according to Women’s Facial Skincare Consumer Report 2017* from global information company The NPD Group. 90% of the decisions we make are emotional, and thinking about what will drive the beauty industry’s growth and change in the year to come, emotion is at the forefront. After all, what can be more emotional than beauty? 80% of US beauty consumers purchase beauty products because they make them feel their best, the NPD Group finds. US prestige beauty product sales totaled $4.0 billion in the first quarter of 2017, representing a 4% increase from the same period, 2016. Prestige makeup was the biggest gainer in beauty, with the eye category expanding at the fastest rate. Travel- size makeup product sales rose 47% in the same period, according to NPD. The chart above illustrates the total retail value of the beauty and personal care market in the United States from 2011 to 2017. In 2014, the U.S. market for beauty and personal care reached around 78 billion U.S. dollars. The US beauty and personal care market are expected to grow annually by 1.3 % (CAGR 2018-2021). Some of the main aspects that drive this market are consumer demand, consumer expenditure, and purchase behavior. Revenue in the cosmetics segment amounts to US$13,687m in 2018. The market is expected to grow annually by 6.5 % (CAGR 2018-2021), according to Statista. This infographic published in The Beauty Economy Special Report tracks the rapid rise of the global cosmetics industry. The research reveals L’Oréal Paris is the most valuable cosmetics brand with a 10.2% share of the market. A new breed of doctor-led skincare brands, determined to transform the beauty industry, are gaining ground, while small brands are making big money from private equity investors. A growing number of consumers are rejecting chemical-filled cosmetics for pricey, plant-based alternatives. It’s a thriving sector—one that some experts think could change the beauty industry for good. The most common chemicals in skin care products are parabens, synthetic colors, and phthalates. In fact, NPD research finds that more women today perceive their skin as sensitive compared to two years ago (48 percent among facial skincare users in 2017 versus 44 percent in 2015), and at the same time there has been a significant uptick in the usage of products that are free from ingredients considered harmful. Tata Harper, an all-natural luxury skincare line, is now a best-seller at Sephora and hailed as a pioneer in the “land-to-face” movement. Tata Harper is just one of many success stories in the booming organic and natural beauty market. Prestige skincare brands with an environmental focus that promote wellness or natural ingredients have grown their sales by 13 percent in the 12 months ending August 2017, outpacing the overall market which grew by 6 percent during this time and currently account for $1.3 billion, or close to one-quarter of total skincare sales** according to NPD’s retail point-of-sale data. Brands with a natural and/or botanically derived clinical orientation now represent the largest combined share of prestige skin care sales. Last year, they accounted for all gains in the category, stated in a report from NPD. Walking the line between health routines and skincare regimens, dollar sales of face supplements have grown more than fivefold over the past two years, becoming a $4.1 million market in 2015, according to NPD research. Source: The Benchmarking Company, based on an original survey of 6.412 U.S. women ages 18+ conducted in February 2017. Everyone loves a surprise! Perhaps that’s why beauty subscription boxes have been a hit since Birchbox launched the concept in 2010. Since then, a slew of competitors has popped up offering their own boxes curated to the buyer’s interests (such as vegan beauty, nails, etc…). Subscription boxes help women to discover indie brands and is why sampling often leads to conversion. As of May 2017, two of the most popular subscription services are Birchbox and Ipsy Glam Bag. Brands will continue to develop alternative ways to connect with their consumers. In prestige specifically, department stores have struggled to create meaningful consumer engagement as foot traffic and dollar sales experience a slowdown. Despite this challenge, the brick-and-mortar space in retail remains an important component for driving sales growth. As beauty brands look for ways to enhance interaction with their consumers in-store, the number of pop-ups, pop-ins (store in store concepts), and experience stores will accelerate, especially in high volume cities like New York, Los Angeles, and San Francisco. Eighty-four percent of young people believe brands have more power to make change than governments. It should come as no surprise, then, that consumers are looking for brands that parallel their principals. Therefore, brands should be looking not through traditional means of unique product, but rather through strategies aligned with values and practices. Partisan branding will become more commonplace in the year ahead as consumers increasingly expect brands to take a stand and align on issues that are important to them. Whether it’s the environment, community, animal rights, or anything in between, brands that find ways to connect with consumers on these ideals in an authentic way can expect continued growth. Hubert de Givenchy once said, “Luxury is in each detail.” Yet, we have seen over the past year how the cornerstones of luxury – service, exclusivity, and personalization – are being challenged in retail, product, and experience. We can expect more of this in 2018. The fact is that consumers no longer need to pay the high price tag to receive many of the perks of a luxury product. This is not to say that traditional luxury is obsolete, but it will change. Within the luxury price-point specifically, new trends will continue to emerge that showcase consumer values in a bigger way. Successful independent beauty brands are the targets of private equity investors as well as major brands in an active acquisitions market. The online world has changed everything. Acquisitions are so dynamic in the health and beauty sector because of online noise. It has given a voice for new products and brands to lower the barriers of entry at lightning speed and this is sure to continue into 2018. Sung Park, along with his wife and business partner, Annie, own Custom Direct Promotions (CDP), a leading producer of high-quality GWP packaging solutions to optimize materials used and control costs for luxury brands. Talk to Custom Direct Promotions about your next successful GWP program. Call us at 212.336.1560 or email Sung Park at sung@customdirectpromo.com. Get the latest GWP news and events delivered to your inbox. Subscribe here.